Are all politicians heartfelt people who only help their countries prosper and who only protect their people from harm? Of course not – so why then would you believe that every doctor only practices honest medicine and only prescribes what is thoroughly tested as “safe and beneficial” for his or her patients? Does every builder, architect and engineer in the world build perfect structures that never leak, rot, crumble or cave in? Of course not – so why then would you believe that every scientist only formulates vaccines and pharmaceuticals that are thoroughly tested as “safe and beneficial” for adults, children, babies and pregnant women? Here are the 10 most evil people in the world today who lie about science, pharmaceuticals and GMOs. Is every plant growing in nature edible and safe for consumption, even ones that are contaminated with industrial pollution and pesticides? Of course not – so why then would you believe there is a “world consensus” that GMOs (genetically modified organisms) in food are “safe and beneficial,” when most of them contain heavy metal toxins, pesticides and deadly herbicides? You may be an honest, caring person, but that won’t stop corporations from exploiting your health while taking your money. You may be a religious person who treats others the way you want to be treated, but that won’t stop evil scientists and M.D.s from selling you dangerous chemical-based drugs that slowly poison you and your innocent children until death does you part. That’s why you need to know exactly who the ten most evil people are in the world today, because they lie about science, pharmaceuticals and GMOs, and the only way to protect your family from them is to never buy, consume or inject what they’re selling. #1. Imagine how many years you would serve in prison if the U.S. government caught you putting a deadly pig virus called circovirus in a vaccine meant to help prevent children and babies from getting a rather benign virus that simply causes diarrhea? What if ten of those same children and babies injected with the poisoned vaccine containing the deadly pig virus died from intussusception, where their bowels folded in on themselves (like a telescope) and caused a fatal blockage? Is that science terrorism? Would they call it premeditated manslaughter, involuntary manslaughter or insanity? There is a doctor still practicing medicine today who does exactly that, and he’s made millions from his patent of it. His name is Paul Offit and the vaccine he concocted in his laboratory using two strains of deadly circovirus to treat rotavirus is called Rotateq. He works at the Children’s Hospital of Philadelphia. It’s called CHOP for short and for good reason – the insidious Offit is there injecting children with deadly foreign diseases for profit. #2. If you’re an evil doctor who only cares about money and power, how many years would you serve in federal prison for killing folks with chemotherapy who don’t even have cancer? The answer is 45 years. The psycho doctor Farid Fata was a Detroit area oncologist who defrauded Medicare and private insurance companies for more than $30 million in the biggest health care scheme the world has ever known, and this was just a few years ago. Working alongside psycho-blogger David H. Gorski (a.k.a. ORAC) at the Karmanos Cancer Center (where Gorski still operates on women’s breasts), Fata was poisoning innocent people, including children, with a deadly dose of chemo he called the “European Protocol.” His patients endured immense pain while Fata claimed it was their only chance of surviving their cancer – a disorder of the cells that they did not even have. Assault with a deadly weapon other than guns, missiles and bombs? Ever heard of chemical warfare? Ever heard of bio-terrorism? You don’t have to be engaged in combat on a battlefield to incur health damage and loss of life from deadly weapons. 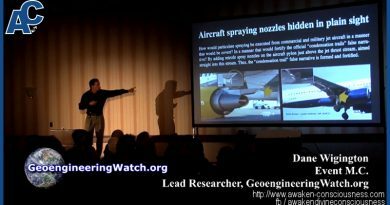 Millions of Americans are assaulted every single day in doctors offices and hospitals with deadly chemical weapons designed to corrupt the immune system and the central nervous system. From SSRIs and chemotherapy to mercury and radiation, and from prescription opiates and ADHD drugs to toxic blood thinners and dangerous cholesterol medications, Americans are inundated and overwhelmed with deadly chemical weapons on a battlefield that requires no more than a little medical coverage in which to participate. 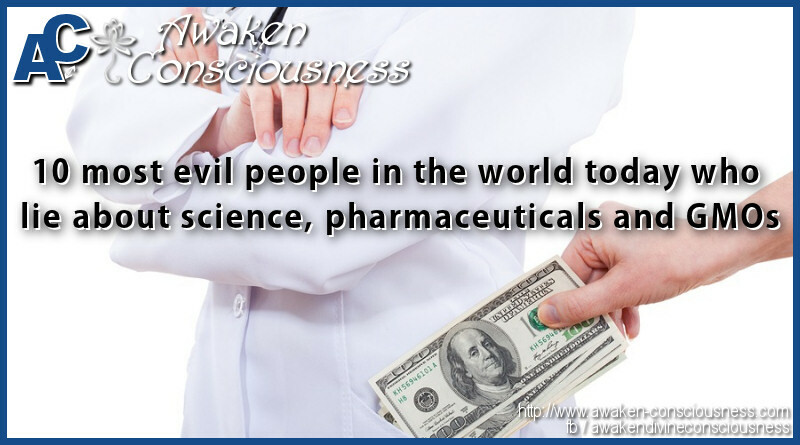 Isn’t it ironic how many people are screaming for health care coverage right now, naive to the fact that most modern chemical-based medicine is corrupted and dished out by the most insidious people on planet earth? #3. “The Joker,” Dr. Richard Pan is the clown who authored California’s force-vaccination bill that ensures all children in the state are injected with mercury, aluminum and formaldehyde in order to boost his own political stage while padding his wallet. #4. Neil DeGrasse Tyson – the mascot of space talk now pushes GMO propaganda films for dirty money. #5. Bill Nye the “Science Fraud Guy” – a man who once questioned GMOs and global warming now pushes all the propaganda behind them for dirty money. #6. Ex-President Barrack Obama – the same man who said “Americans have a right to know what is in the food we eat” hired a former Monsanto shill to run the FDA and hide GMOs. #7. The infamous Bill Gates relentlessly pushes cancer-causing GMOs and toxic population-reducing vaccines on innocent African nations under the guise of philanthropy. #8. The evil George Soros funds eugenics programs and transgenic seeds via Monsanto. #’s 9 and 10. 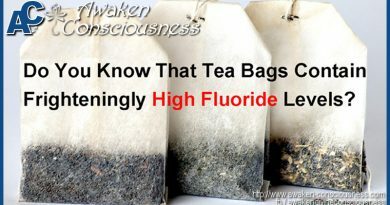 Exactly what lands you in an oncologist’s office faster than vaccines, fluoridated water and prescription medications? Answer: eating GMOs daily. Who pushes Monsanto’s GMO propaganda and industry-scripted lies on the American people? Jon Entine and Kevin Folta. 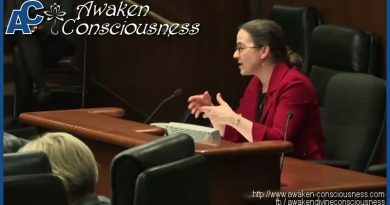 Two Monsanto operatives who push everything chemical that causes cancer as “sustainable” and “safe” for human consumption, these two maniacal shills were recently exposed by the U.S. Right-to-Know group.